King County Wastewater Division sent a notice this week stating that county contractors are beginning to build the underground storage tank across from Lowman Beach for the Murray Combined Sewer Overflow project. The tank will sit on top of the concrete slab poured in the tank area last week. Crews will work Saturday Dec. 20 to install rebar and build forms. The rebar will attach the tank to the slab. The forms will help shape the tank bottom. Saturday work hours will be 9:00 am to 6:00 pm. Smaller concrete pours are scheduled for December 23 and December 29. About 10 trucks an hour will deliver concrete to the site each day — less than half the amount delivered daily last week for the slab. Concrete will be delivered to the site between 7:00 am and 6:00 pm. Crews may continue working in the tank area after 6:00 pm if necessary. Haul routes will remain the same. These pours may be rescheduled if temperatures go below 40 degrees. Schedules updates will be provided as necessary. No work will occur on December 25 or January 1 (see calendar at bottom for more information). East sidewalk of Beach Dr. SW closed between 7:00 am and 6:00 pm. Schedule of activity at Murray Combined Sewer Overflow project area for December. The 2015 King Conservation District announces their Native Bareroot Plant Sale featuring more than three dozen species of native trees, shrubs and groundcovers. All orders placed by the end of November get an automatic 10% Early Bird Discount! Pick up orders Saturday, February 28th adjacent to the KCD offices at 1107 SW Grady Way, Renton. For a link to the full plant list and details on online ordering, go to our website and click on Shop Now! Below are brief descriptions of the wide variety of plants available in the King Conservation District Native Plant Sale. 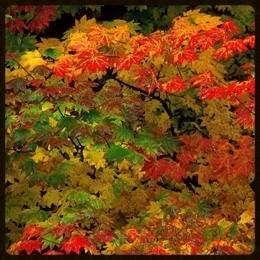 Deciduous trees light up the landscape with beautiful spring flowers and showy fall foliage, and then lose their leaves to provide filtered light in winter. Many of them provide nectar for pollinators and edible fruits for wildlife. This year we have four species of deciduous trees which are sold in bundles of 10 for $16. For details and online ordering see Deciduous Trees. The seven ground covers in this year’s KCD Native Plant Sale range from sunloving native strawberries to shade-tolerant Oregon grape. 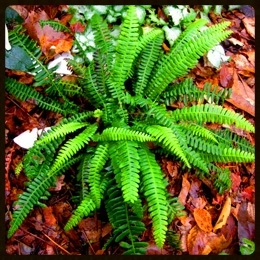 New this year are Deer Ferns and Fringecup, both of which prefer moist soils. For photos and details on each species see Ground Covers. Moisture-loving Deer Ferns are available for the first time in this year’s sale. They’re included in a selection of more than a dozen species that require damp soils. Some of the plants love full sun, while others prefer deep shade. Details are on our online order form for each species that is Wet Loving. 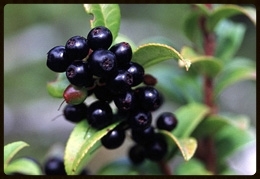 This year’s Native Plant Sale includes ten species selected for edible berries. 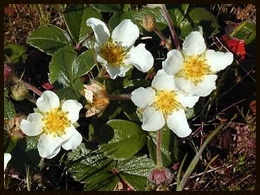 Food-producing plants were an important source of nutrition in native diets. They’re tasty right off the bush for people and wildlife. For details see Edible Berries. Sustainable West Seattle member and Energy Blog author Andy Silber recently wrote a fiction story about the impact of climate change on Planet Earth and humanity’s attempts to colonize Mars. Andy has taken the story much further and has published a longer, more involved version on Kindle. Click here for the Amazon link to the longer story. Andy is charging 99 cents ($.99) for this more polished version. The story was first serialized here on the SWS website (see Energy Blog: World of Tomorrow-2025: Warmer, Higher Sea Level, Fusion Power for the beginning chapter or click Energy Blog in the What Are You Interested In? section to the left to find all 9 early chapters.